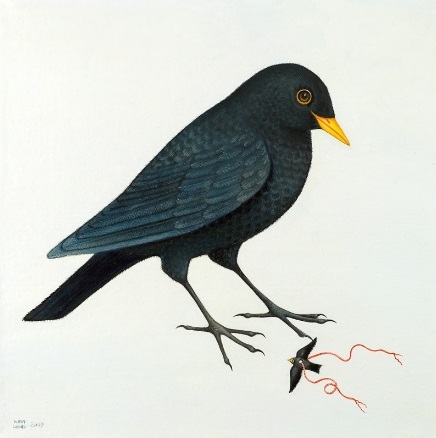 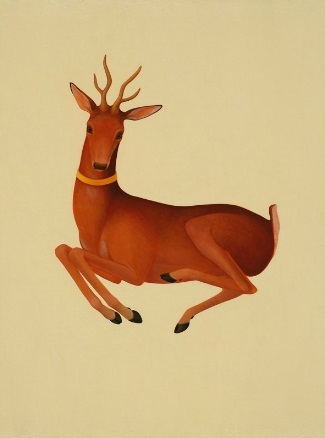 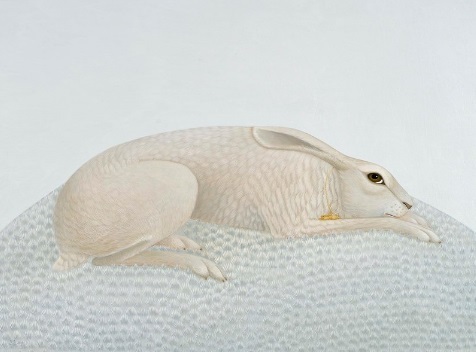 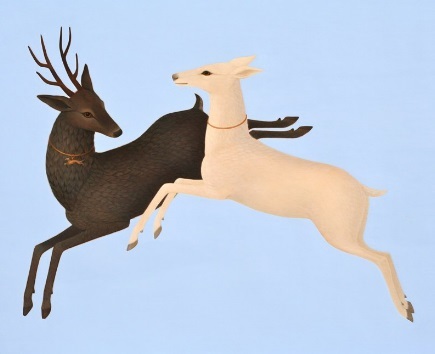 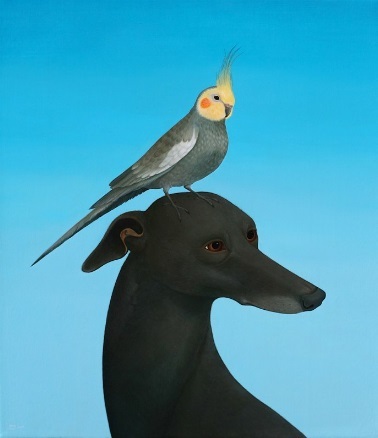 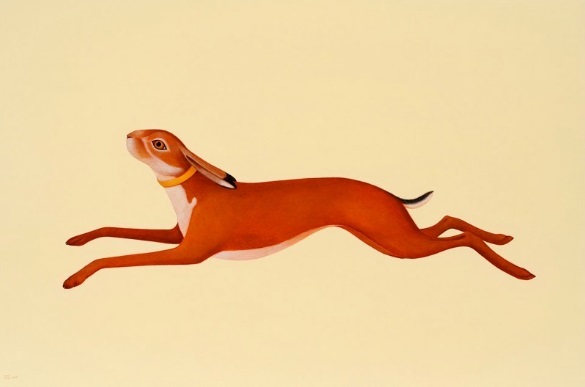 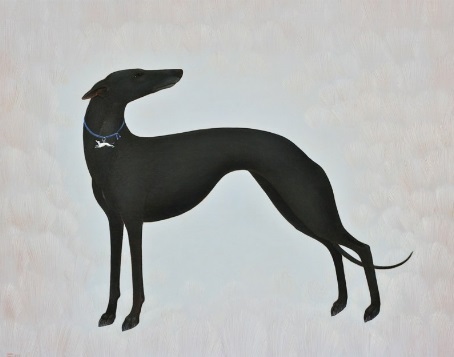 I really enjoy these clean, simple-yet-detailed animal paintings by Whyn Lewis. 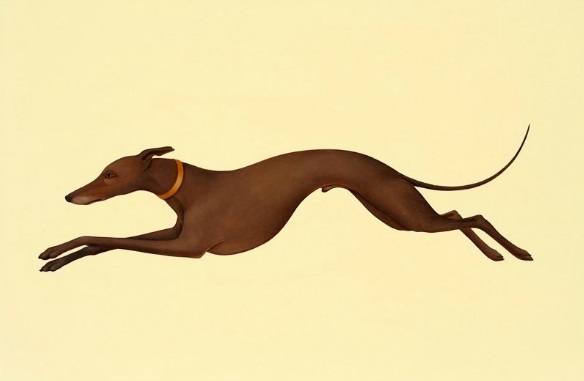 Her style is strong and unique; I love her graceful and slightly exaggerated forms of whippets, rabbits, and deer and her choice of strong, solid backgrounds. 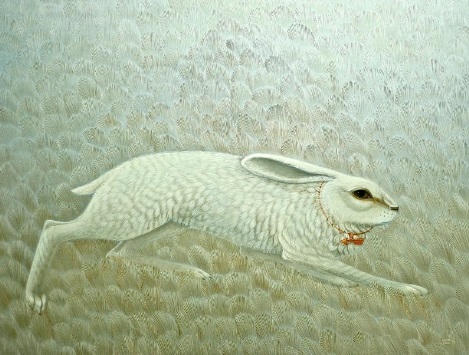 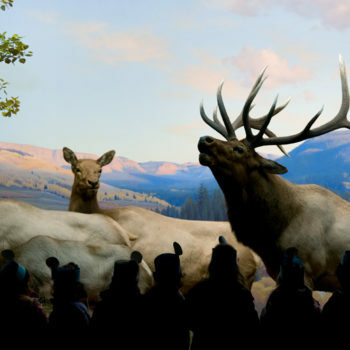 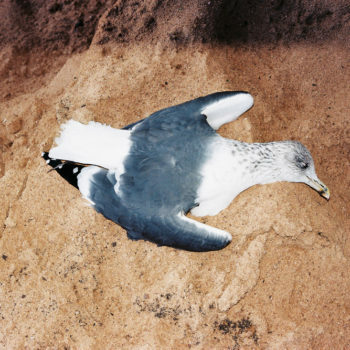 Many of the painted animals are adorned with small, jewel-like objects hanging from collars around their necks, often of a rabbit. 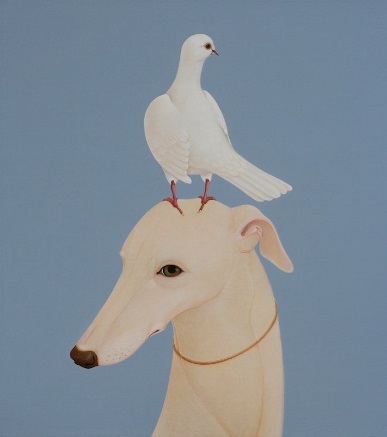 I find the repeated symbolism intriguing.